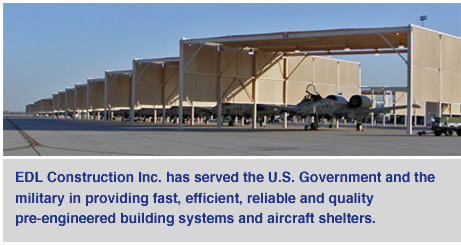 As an Authorized Federal Supply Service Contractor; EDL Construction, Inc. specializes in offering top quality buildings systems and pre-engineered aircraft hangars and shelters. With nearly 45 years of experience, EDL’s professional engineering, construction and project management services allow for design flexibility. 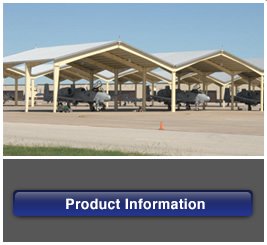 EDL is committed to meeting the U.S. Government and Military needs for prefabricated steel buildings and aircraft shelters worldwide. 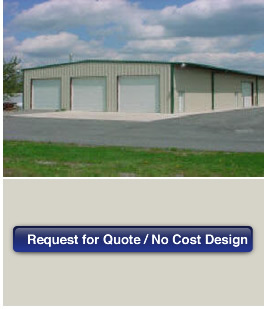 EDL design/build also offers ancillary services and site preparation to ensure an efficient, operational and reliable onsite building.